The teenager had hit his fingers more times than the nails he had been hammering. His thoughts that day, as it was most of the time, were on improving his skills at the hockey rink, not fumbling his way through a part-time gig he admittedly struggled mightily at. Instead of lecture, Lewis received a grin. Although Lewis knew what his end goal was, the odds weren’t exactly in his favour. Growing up in Utah, Lewis took to hockey at an early age, introduced to the sport by his father, who was born in Lethbridge, Alberta. The younger Lewis was part of a Salt Lake City youth team that had only 12 players. Selected by Cedar Rapids in the 2004 United States Hockey League (USHL) draft, Lewis was cut during preseason tryouts. He caught on with the USHL’s Des Moines Buccaneers for the 2004-05 season and finished eighth in team scoring with 22 points. In 2005-06, Lewis recorded 35 goals, 40 assists, was named the USHL Player and Forward of the Year. He also put himself on the NHL Draft radar. The Los Angeles Kings certainly liked what they saw in Lewis, taking him 17th overall in 2006. 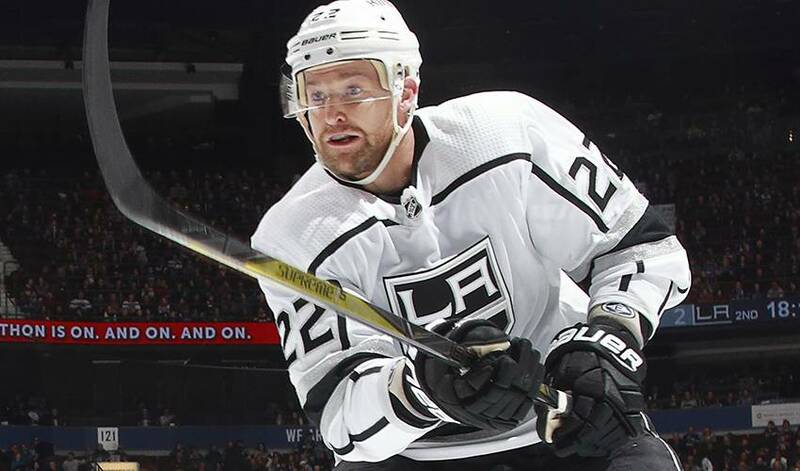 After stints with the Ontario Hockey League’s Owen Sound Attack and the Manchester Monarchs, Los Angeles’ American Hockey League affiliate, he made his NHL debut on December 19, 2008 against the Buffalo Sabres. So, too, has the advice he received from a former coach. It’s no surprise that a typical Lewis shift is reflective of the journey that got him to where he is. Works hard. Plays with energy. Does the little things that make a big difference. This season, Lewis has been at the top of his game. He’s seeing more ice time, more work on the power-play and a bump in his offensive output. Even better than he ever imagined.